Home > News > Gloucestershire’s coaches of the year! Gloucestershire’s coaches of the year! 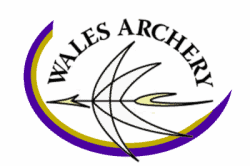 Congratulations to Dan and Steph Gill of Deer Park Archers. They have been named coaches of the year at the Gloucester Sports Media Awards. The award recognises their work for the club and a school games programme at 128 primary and 12 secondary schools. This means that, between them, they coach more than 1,000 pupils and support coach development at grass roots level as well as working with British, European and World champions at Deer Park and the county junior squad. Deer Park was also among the junior club of the year finalists while members Ella Gibson and Sarah Bettles were shortlisted for junior and senior sports player of the year awards. The event was held at Cheltenham Racecourse and the awards were presented by broadcaster John Inverdale.